Music is a funny thing. It’s often said that recorded music is static, while live music shifts and changes, allowing for improvisation and variation. In a strict sense that’s true. But listeners are always changing, and so, in a more subjective sense, so are albums. Recorded music weaves through our lives; a recording can resonate more or less with someone at different times. The old saying is true: you can never step into the same river twice. That’s why, in some ways, whatever album from this list I’m currently playing is the best album of 2014. Good art takes in listeners and renders the arms-length critic’s posture difficult, if not impossible, to maintain. Of course, one can listen to the same album both as a fan and as a critic, but perhaps not at the same time, or at least not without some compromise. I think it’s fun to switch hats as I listen. I hope you do too! As always, there is lots of good music that isn’t on this list. Scrolling alphabetically through my iTunes, I’d say that The Antlers, Beck, Conor Oberst, Cold Specks, Hiss Golden Messenger, Marissa Nadler, Peter Matthew Bauer, Real Estate, Sam Roberts Band, Tune-Yards, and TV On the Radio have all turned in very strong albums that deserve attention. Other acts, like Broken Bells, released solid, though not fantastic, albums. Sun Kil Moon’s Benji is at or near the top of many year-end lists, and while it is an emotionally devastating album, it’s not something I would call a favourite. And while I certainly won’t complain about getting U2’s Songs of Innocence automatically and for free (c’mon people), it is another mediocre U2 album with 3 or 4 good songs. There was also a lot of music that I couldn’t keep up with. I have not heard Jack White’s Lazaretto, The Black Keys’ Turn Blue, The Gaslight Anthem’s Get Hurt, nor Coldplay’s Ghost Stories. These are all big releases from acts that I used to like a lot more than I do now, and I simply decided not to spend money on them in favour of checking out more interesting releases from less familiar artists. The recent Stars album also didn’t catch my attention, possibly because it’s just too disco for me (although being “too disco” seems like its point). I’ve also not heard either of Neil Young’s releases this year — the bare-bones A Letter Home and the orchestral Storytone. Same goes for Tom Petty’s Hypnotic Eye (though it’s interesting to note that Petty’s highway-rock sound is behind at least two of my top-10 picks). And on and on the haven’t-heard list goes: Mac DeMarco, Jenny Lewis, Thom Yorke, Interpol, The New Pornographers, Damon Albarn…there’s just too much to keep up with. I have to limit myself not only because I’m a music lover on a budget, but also because there’s no sense in fracturing my attention into a million directions when I could give fewer releases more careful attention (or give quieter voices a chance). There are a couple 2014 releases that I still do intend to get around to checking out, including Hundred Waters’ The Moon Rang Like A Bell. Looking ahead to 2015, I’m eagerly anticipating Club Meds (Jan. 13), the new release from Dan Mangan + Blacksmith. Mangan made a huge leap forward in between his last two albums, and I can’t wait to see what he and the band have been cooking up over the past 3 years. The Decemberists (Jan. 20) and The Dodos (Jan. 27) are also releasing new albums soon, and the lead singles from both bands sound promising. A beloved early-2000 rock act, Sleater-Kinney, return with No Cities to Love on Jan. 20. Bob Dylan’s album of Frank Sinatra covers drops Feb. 3, and I’m not sure how I feel about my beloved Bob releasing a standards album. Isn’t that territory tread by has-beens? Anyway, a week later we’ll see a new album from Father John Misty (Feb. 10). Jose Gonzalez of Junip, fresh off his work soundtrack work for The Secret Life of Walter Mitty, is back with a new album on Feb. 17. Laura Marling will be releasing a new album on Mar. 24. As-yet-undated upcoming releases include Death Cab for Cutie’s eighth LP — their last featuring founding guitarist Chris Walla — and the highly anticipated new album from Modest Mouse (Mar. 3). Later in 2015 there is a chance of new music from Fleet Foxes, My Morning Jacket, and Radiohead, but no firm plans have yet been announced. Personally, I’d love to hear some new music from Explosions in the Sky, Mutemath, and Feist, but at this point that’s just wishful thinking. My year in live live music features concerts by Arcade Fire, Cold Specks, Neko Case, St. Vincent, and local favourites The Wailin’ Jennys. Interestingly, Pitchfork readers voted St. Vincent and Arcade Fire as the top two live acts of the year. I’m glad they swung through humble ol’ Winnipeg! But anyway, that’s enough preamble. On to the list! 10. 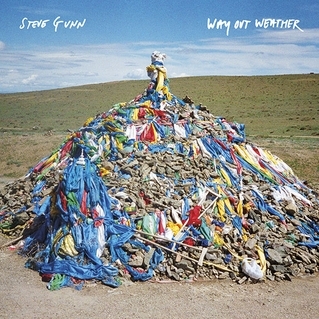 Steve Gunn – Way Out Weather – Philadelphia has a ridiculously strong music scene right now. Stepping out from behind the shadow of Kurt Vile and the War On Drugs is Steve Gunn, a talented guitarist growing into his songwriting and singing skills as he begins a solo career. There’s a wonderful meditative quality to Gunn’s songs. The jammy, meandering guitars swirl around each other, anchored by bluesy song structures and impressionistic lyrics. And a bonus: your dad will love this album as much as you do. Gunn also put out what is probably my favourite music video of 2014, which you can see below. The video, like the album as a whole, is a welcome antidote to the frantic pace of late modern culture. 8. 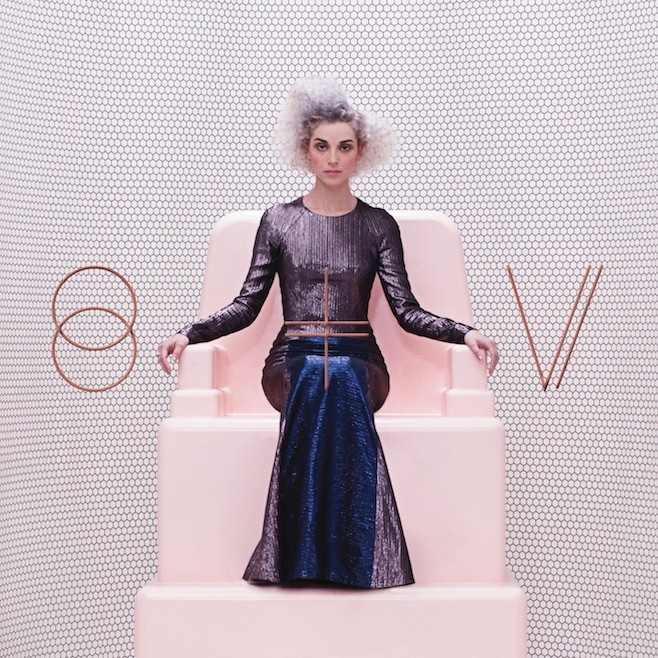 St. Vincent – St. Vincent – Taking in St. Vincent at the Burt this past June was an experience that resorted my faith in live music. When I think back to that show, I recall Annie Clark’s ability to completely command the attention of everyone in attendance. It was hard to take my eyes off the stage, such was her presence on it that evening. Given that high praise, some may wonder why I have placed this album so far down the list. I think it’s because I still find St. Vincent’s music to be a bit hard to bond with on anything other than an intellectual level. It’s so cerebral and other-worldly that some listeners may find it hard to move past cool-headed aesthetic appreciation. Still, her sound has fully matured and the album is a fantastic collection of high-energy songs partnered with surprisingly insightful lyrics for those of us who spend too much time in front of screens, sharing digital facsimiles of ourselves. “What’s the point of even sleeping / If I can’t show it, if you can’t see me?” Reductio ad absurdum at its most pithy. 7. 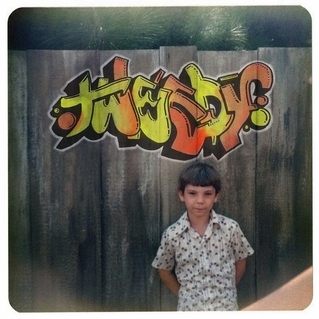 Tweedy – Sukierae – Many were hoping for a new Wilco album late this year, but instead Jeff Tweedy teamed up with his son, Spencer, and recorded a double LP filled with some surprisingly good tunes. Tweedy reportedly has a large and expensive guitar collection, and it shows. The electric guitars on this album sound unrelentingly gorgeous, snaking around the songs’ arrangements and defining their edges. Tweedy’s songwriting sounds both effortless and bold, as he pares down some of his songs to their most basic arrangements. 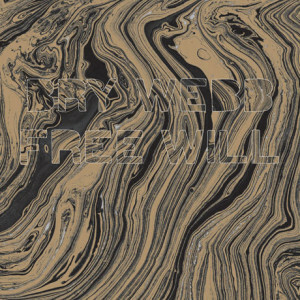 The lovely simplicity of “Fake Fur Coat” and the dusty shuffle of “Desert Bell” are a case in point. I could listen to songs like this all day long. Of course, the full-band tunes are also great, in a relaxed kind of way. The groove of “Low Key” is especially infectious. Enjoy the Nick Offerman-directed video below. 6. 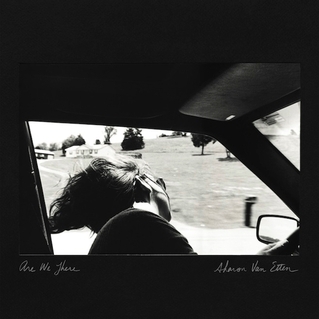 Sharon Van Etten – Are We There – If I was ranking these albums by total number of plays, this might be number one. Van Etten’s Tramp was one of my favourite albums of the past several years, so I was really looking forward to her follow-up. While it wasn’t what I expected, it’s nevertheless a great album that showcases her formidable songwriting and lyrical vulnerability. Adding percussion loops and allowing some R&B influences to run a little closer to the surface likely helped Van Etten to garner a larger fanbase, and this she undoubtedly deserves. The album’s centerpiece, both emotionally and musically, is the ambitious, 6-minute “Your Love is Killing Me,” complete with visceral lyrics and pounding snare. Its vocal showcases Van Etten’s singular voice, which sent chills down my spine the first time I heard it. 5. Spoon – They Want My Soul – As a more introverted soul, it takes a lot for an album to make me want to buy a convertible and turn the volume all the way up. I’m given more to living room listening. But They Want My Soul is a summer crank-up record if there ever was one. Spoon injected some much-needed adrenaline and cool into the often introspective indie rock world this past August. Although They Want My Soul arrived four and a half years after their last album, don’t call it a comeback: this band is one of the most consistent around, and only side projects (namely, Divine Fits) delayed the release. There’s something so great about the way Britt Daniel always sings at the edge of the limits of his voice. Jim Eno’s hard-hitting drums are consistently awesome, from “Rainy Taxi” to “New York Kiss,” and prove that you don’t have to play fills to be a great drummer. I even learned that I can love a track with no guitars and three keyboards. 3. 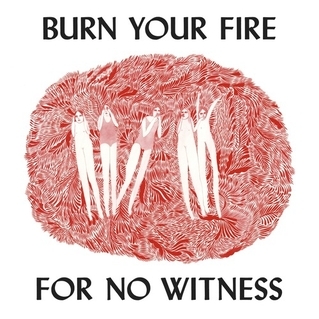 Angel Olsen – Burn Your Fire For No Witness – Released way back in January, Angel Olsen’s singular voice and reverberating guitar nevertheless blazed a path through the entire year, seldom leaving regular rotation on my turntable. It’s interesting to listen to this album alongside St. Vincent’s, as both were produced by John Congleton. While he conjures a very harsh, buzzing landscape for St. Vincent, he captures lots of warm dynamics for Olsen. Congleton is certainly a versatile producer. Lyrically, the album is filled with bold proclamations and sage advice. 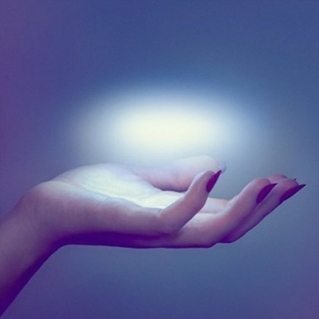 “Sometimes all you need / Is one good thought strong in your mind,” she intones on “Lights Out.” Taking a bird’s eye view of the album, it comes on strong and doesn’t quit. There are no tracks that are less than stellar. Her ballads are devastating, especially “White Fire.” But her rockers are cathartic and clear-eyed, and that may be why so many were spellbound by Olsen this year. Her next release will be one to watch. 2. Ryan Adams – Ryan Adams – I’m as surprised as you are. I went in to this release quite unfamiliar with Ryan Adams. 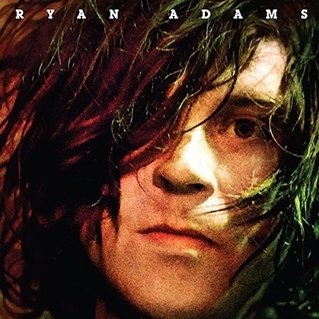 Ryan Adams’ self-titled album has been on the stereo a lot, second only to Sharon Van Etten. From an audiophile perspective, it’s one of the most well-recorded albums I’ve heard, right down to the drums. The album has lots of dynamic range, which is a rarity these days. It’s probably the best sounding vinyl I purchased this year. The way the drums build “Shadows” is brilliant, and the charge of “Feels Like Fire” and “Trouble” showcases some great band performances. Adams reportedly went with the demos on this album, and if that’s so, he was wise to do so, as something is captured that could have been lost in more takes and more layers. 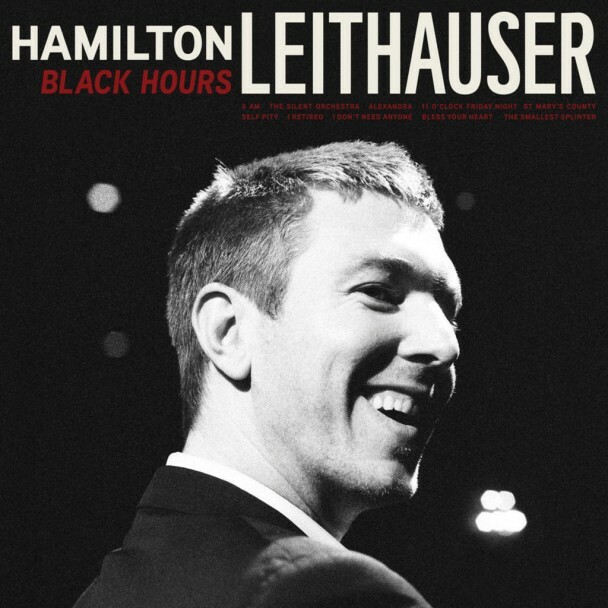 His voice remains a formidable instrument, though the excellence of this album really can’t be boiled down to one factor alone. I’m even willing to overlook that terrible cover and the ripped jean jacket. 1. 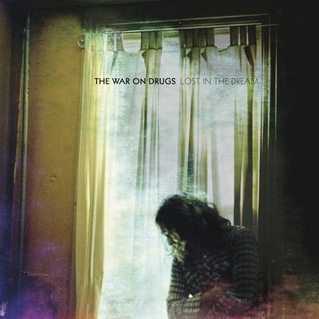 The War On Drugs – Lost in the Dream – And here I thought 2011’s Slave Ambient was Adam Granduciel’s breakout album. (He thought so too.) Scratch that — 2014 was the year for this band. How could one feel anything other than pride for the band’s banner year? Granduciel is one of those guys who deserves the attention his band is getting. Lost in the Dream has appeared near the top of every best-of list I’ve read recently, and for good reason. The album manages to walk that fine line between wearing one’s influences on one’s sleeves, and doing something truly original at the same time. But for all the talk of its swirling, meticulous production, I also think Granduciel’s songwriting is deserves to be lauded. Just listen to this solo acoustic version of album closer “In Reverse” if you don’t believe me. Lost in the Dream‘s closing line — “In reverse, I’m moving” — sums up the band’s sound, and their path to success. The album is all highlights, though my favourite may be “Eyes to the Wind.” “Red Eyes” rivals Future Islands’ “Seasons (Waiting On You)” as the single of the year, and this performance of “Burning” at Primavera gets me amped every time. This is way more helpful than anhityng else I’ve looked at.